Poll: All in favor, say "Aye!" For those of you who don't know what that is, that's the Legend of Zelda: Ocarina of Time. That screenshot shows a particular feature in the game's dungeons: the eye switch. 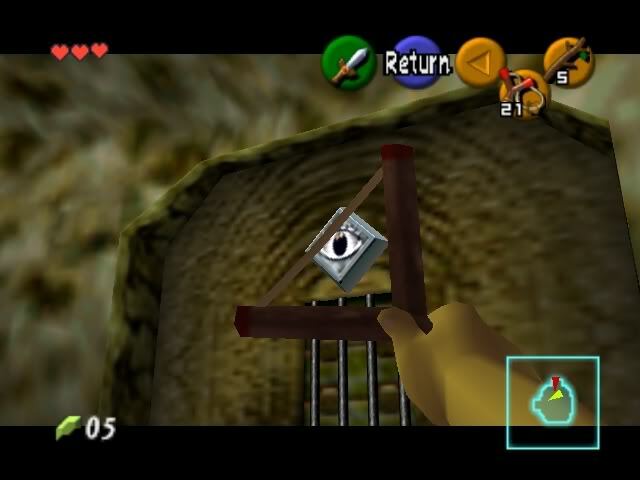 Shooting this eye will activate a switch that, in this case, removes the bars from the door below it. As a gamer who believes this game to be in the top 5 games of all time, this mechanism was incredibly satisfying and rewarding. What does that have to do with Minecraft, you may ask? For a while, I've been thinking about and hoping for a type of "bulls-eye" redstone switch. I've built many doors in my time on Minecaft that can be opened with buttons, levers, or pressure plates that are stepped on. But what if I wanted to have a switch like in the screenshot? What if, for example, I wanted to have a door that can only be opened when a pressure plate above it is shot by an arrow? But what if they were placeable on the sides of walls, or even on ceilings (as suggested by SpyGuy)? The potential for switches, puzzles, and other circuit ideas could dramatically increase! (click on images for larger sizes). A door is only one example of many that could be implemented using this technique. My most favorite idea is a drawbridge that can only be connected by shooting a pressure plate that is across it. I've wanted something like that for a long time, but after Alpha, Beta, and the official release, I have yet to see it possible, even modded. Not only does this new placement allow for more creativity, but it is beneficial in the sense that anyone without a bow or arrows cannot activate said switch from a distance and it is highly secure against mobs as well. Here's another idea that I believe falls under this category. 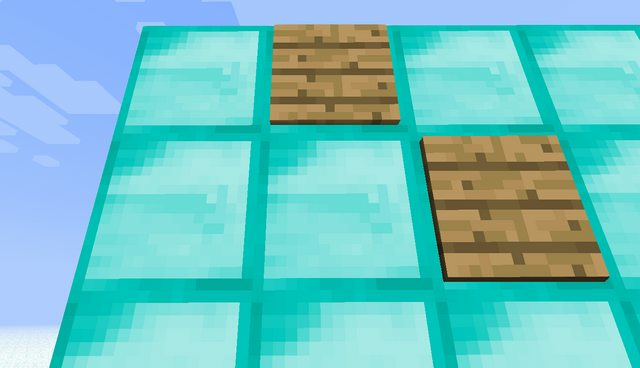 Why not allow levers/buttons to be placed on the underside of blocks as well? I wish I had thought of this particular idea myself, because I love it just as much as my pressure plates idea! 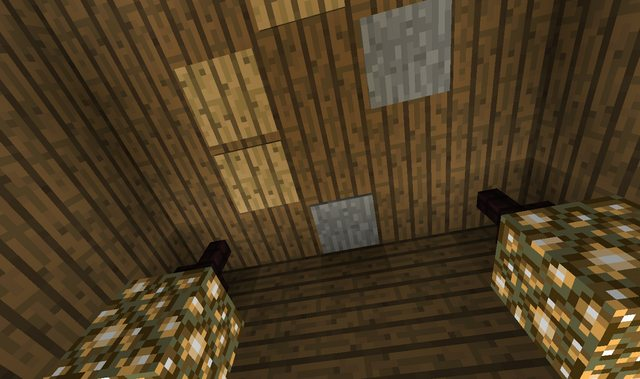 One huge benefit could be having a switch on the underside of a block, with redstone wire or a torch on the top. The switch/button powers the block, thereby changing the state of the wire/torch connected to said block. Essentially, this idea is the same as having a switch/button on a block like normal, but instead of placing them on the sides/top, they're placed on the underside. 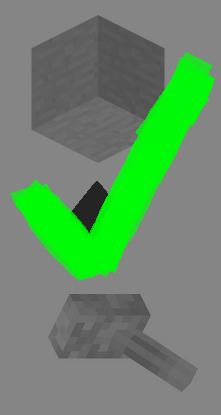 This could allow for better hiding of switches and buttons for people who like to build labyrinth or mazes. Again, simply one example of endless possibilities that would be opened up! What say you, community? I think Minecraft should have these! If not, anyone who wants to give a shot at a Bukkit plugin is greatly encouraged! 7/11 EDIT: Added Redyoshi101's awesome images of plates on walls/ceilings. 10/21 EDIT: Changed to reflect addition of levers on ceilings. Check out my thread suggesting new possibilities for pressure plates, buttons, and switches! Perfect idea, would really help minecraft and would screw anything up! I made this suggestion months ago. Make pressure plates on the celing to! I agree, and levers should be placeable on celings. And buttons, too! Oh man, I need to add those to the OP. Added those ideas to the OP. I don't see any reason why they should not be implemented! I never actually thought of this, but I like the idea, but maybe not the ceiling-mounted ones, to me that is strange, but still, a great idea. I always wanted the Arrow Eye, it was on my to do list for overhauled suggestions. well you can't beat everyone to the catch. If anything, it'd add to the variety and options for switch placement. glad i hopped on and looked i was just thinking about placing levers on the base of an item (i.e. i wanted to put a redstone lamp in the center of a block and have it active by a lever on the base of it) glad to see it was suggested. When you say base, do you mean the underside? Yes and no there are towers with the redstone lamp on top that would look better with the lever on the bottom out of view. YES! This will add a great new feature to adventure maps, especially with the new adventure mode. I agree!! These would add so much more possibilities. AW YEAH. Dude I loved those games. Why not get rid of buttons, pressure plates, and trip wire hooks altogether and make a single, omni-switch, the Hook Pad. Picture a wood pressure plate, reduce it's size and increase it's depth so that it's smaller and thicker than a pressure plate, but Put this recessed hook in the center that will remain flat unless connected to string like the current trip wire system. You can place it on the wall, ceiling, floor. On the floor it is activated by stepping on it or right clicking it or shooting it. Walls and ceiling is activated by right clicking or shooting only. Place string next to it while it's on any surface and the recessed hook pops out to create a trip wire interface like you do with the current hooks. Now we have one, simple items that does everything the other triggers did in one simple recipe. 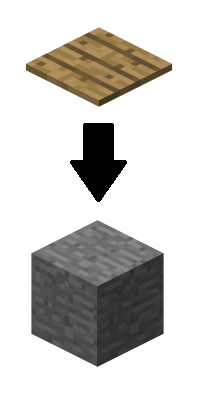 One drawback is that this is a more expensive recipe than any of the other triggers, but we always have the lever for when we are just starting out and most of these triggers are useless anyway without redstone and by the time you have round redstone, this recipe is more feasible. Also, having a wood texture only and not stone ones like the stone plates or stone buttons are another drawback. But the way I see it, you can't feasibly satisfy that issue anyway. People want stone buttons, brick buttons, sand buttons, clay pressure pads, sandstone pressure pads. if you want to hide your trigger, put it in a location that isn't clearly visible or use the trip wire which is nearly invisible. Finally, the last issue is wood pressure plates are currently used in villages and player creations as a table. Well one possible solution is to just have the hook pad replace the tripwire hook, but honestly, I think we can just do without the tables. If you don't take this idea, I might just run with it myself when tripwire hooks are officially released. Little rude, all the more credit for me then.